If you want to make the most of your vacation, driving to your cruise terminal might just be the best thing you could do. Why? The reasons are many -- airfare is overpriced and baggage fees seem to increase every season, going through security with a family can be a hassle and the stress of air travel is no way to start a vacation. So, if it's feasible, drive. Driving to your cruise gives you more time in your ship's homeport, you can carry every bit of luggage you desire (as long as you have the trunk space for it), you get to start your vacation with a road trip and, perhaps best of all, you get to travel on your schedule. But how do you make the most of driving to your cruise? Read on for some tips that will make driving to your cruise your next favorite thing to the cruise itself. Flying is stressful for solo travelers or couples, but with a family it's no way to start a vacation. Skip security, dodge the baggage fees and drive. When you drive you can make it fun for everyone (who doesn't love a road trip, right? ), you can find food options that meet your needs and budget, and you'll never have to worry about a missed connection or lost bag. When you fly into your cruise, all you experience of your cruise departure city is this: the airport, a shuttle, the ship's terminal. But when you drive, you've just added an extra port to your itinerary. Spend a little time in port before or after you go. With a little planning you might find that a day or two in Disney or at Universal is perfect if you're sailing from Port Canaveral; or go for a tour of Southern food and drink in Charleston, South Carolina; or plan a museum-filled weekend in New York. You get the picture. If you follow the advice above you'll be doing some research to discover the charms of your ship's homeport, but on the drive to your cruise you'll have more time to get on your tablet (unless you're the driver) and learn about each port on your trip. Assign tasks to each of your fellow passengers to find something they want to see, do or taste in each port or on the ship, and ask them to find at least one thing another member of your group will like as well. You can even assign someone the task of finding some music to get you in the vacation mood. And when you're driving back, the trip presents the perfect opportunity to decompress, re-enter the real world and share your favorite part of the cruise. You can't avoid fueling up a time or two on the drive to your cruise, but you can save some money at the pump. First, plan your trip to avoid high gas prices; prices typically peak at the beginning of summer, around holidays like Independence Day and even on weekends, so avoid driving at these times and spend less at the pump. Second, you should map your route to avoid construction and congestion, and time your trip to reach the port before the other passengers so you don't spend lots of time idling. Once you've mapped your trip, then you can use a website like gasbuddy.com to find the least expensive gas on your route; you can also gas up at warehouse clubs like Costco, BJ's and Sam's where gas is often cheaper. Finally, pay attention to what your GPS tells you; many mapping apps will alert you to congested routes, so pay attention to route changes and recommendations. 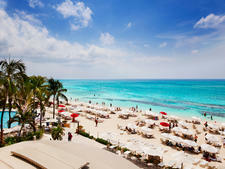 Cruising is a vacation value, for sure, but driving to your cruise is a money saver as well. Not only are you saving money on airfare and bag fees, but you have the opportunity to save on parking too. Hotels in many ports offer some sort of "cruise and stay" package where you can park your car at the hotel for the duration of your cruise for free provided you're staying there at least one night before or after you sail. Some hotels even offer free or discount shuttles to and from the cruise terminal. In Port Canaveral, nearly a dozen hotels -- from Holiday Inns to Best Westerns to Four Points by Sheraton -- offer cruise and stay packages. 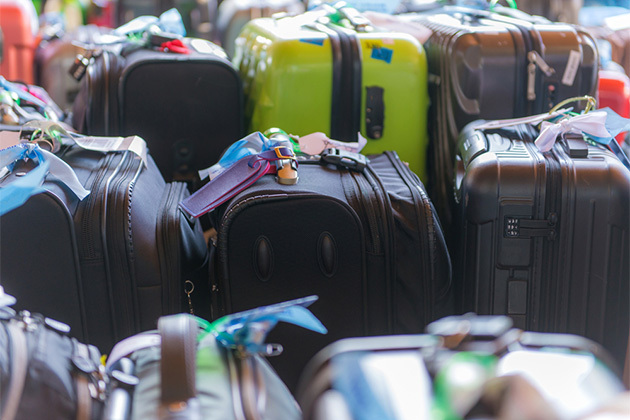 Spend a few minutes online looking for packages at hotels near your cruise terminal and you'll find similar arrangements no matter where you depart. 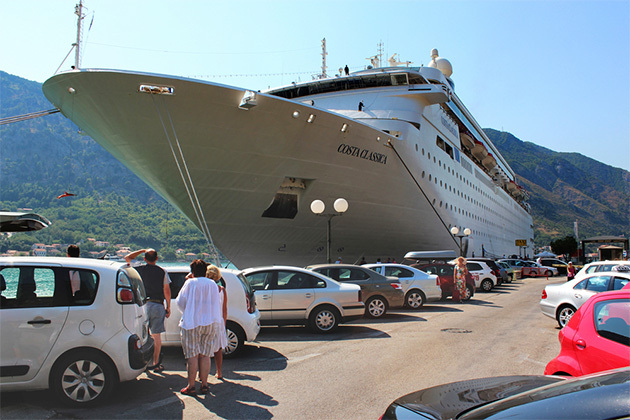 If you're not staying at a hotel where you can park for the length of your cruise, you're probably parking at a deck or lot at the cruise terminal, and with some planning you can save on this too. While you can just drive up to the cruise terminal, take your parking ticket and find a spot, you can save a little money and a lot of stress by pre-paying for parking. Pre-paying often comes with a reserved spot or reserved section, and it's often cheaper by a few dollars a day than paying for parking when you arrive. 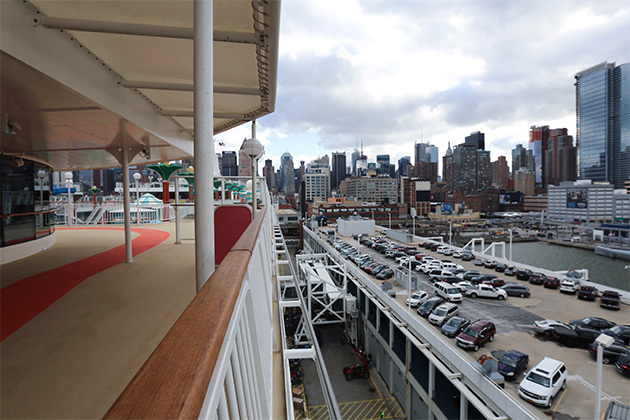 A quick search for "parking cruise terminal [Your Cruise City]" will come up with a number of parking lots and decks where you can reserve your spot and pay in advance. Back to this one. Driving to your cruise can be about as stress-free as you can imagine. Road trips are easier (and more fun) than flying because it gives you more time to plan, pack and get yourself in a vacation mindset. 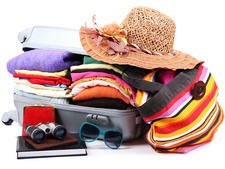 You can check and double-check that you've packed everything from sunscreen to socks. You have the chance to pick up whatever you forgot (because we always forget something, don't we?) as you drive to your cruise. You can be sure you've printed out all the cruise confirmations, luggage tags and documents you need to get onboard. And you can turn around the car when 15 minutes later you realize you left a passport/birth certificate/phone/phone charger sitting by the door; once you're through security at an airport, those forgotten items are nothing but stress dragging your vacation down.